SURE! is the e-journal of the annual Student Research Conference in the Netherlands, a contest for undergraduate research of Dutch and Flemish universities and universities of applied sciences. The SRC provides a platform in which students can present their bachelor research. The SRC welcomes submissions from all disciplines; ranging from anthropology to medicine. This is the e-journal of the Student Research Conference, in which all the best 60 papers of bachelar students are published. The conference takes place at the Leiden University College in The Hague. Leiden University College (LUC) is very pleased to host the 2018 Student Research Conference (SRC). 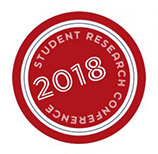 The SRC’s goals to celebrate and stimulate undergraduate research fits perfectly with LUC’s mission to provide a high-quality research-led teaching environment for talented bachelor students who have what it takes to make valuable contributions to academic inquiry. The list of nominated projects for this year’s conference clearly shows the breadth and depth of what undergraduate students can do when higher education institutes take them seriously and providing a stimulating learning environment. Democratic governance rests on a precarious relationship between the civilian and military branches of government. This relationship is threatened whenever civil-military relations become polarised. This theme is explored through a case study of the French Army during the Algerian War, in which tensions with the de Gaulle government grew as the Army politicised. This culminated in an attempted coup d’état in 1961 and the rise of the terrorist OAS group. The thesis conducts its analysis through the prism of the guerre révolutionnaire doctrine, which it considers an essential, yet too often overlooked, catalysing factor in the Army’s politicisation. What caused the Black Death in the 14th century to be more severe than any other plague outbreak? This article argues that the Bovine Pestilence, and the consequent protein malnutrition, has contributed to an inadequate immune system for the English population. As a result, the mortality rates during the plague outbreak were high. By using contemporary insights on the Y. Pestis bacterium and immunodeficiencies, and combining that with historical data on the Black Death in the 14th century, this article uses an interdisciplinary approach to come to a broader understanding of the severity of the 14th century pandemic. In this study, it is shown that the post-apartheid labor and tenure legislation are unable to protect South African farmwomen. There is a tendency among scholars to attribute this weak legal position to the country’s legacy of colonialism and apartheid. This study proposes a different narrative, by focusing on the inclusive nature of post-apartheid legislation. It is the aim of this paper to examine to what extent the inability of this legislation to protect farmwomen can be explained by using an intersectional lens. This lens explores the effects of ‘rurality’ and gender on the legal position of farmwomen. Speech recognition is harder when communicating with multiple talkers. This “talker variability effect” has not been extensively examined for cochlear implant (CI) users, who have difficulty discriminating same-gender talkers but not different-gender talkers. A shadowing task was conducted with normal hearing listeners (N=19) under CI simulation. The test consisted of a single-talker condition (ST), and two multi-talker conditions with different male and female voices (MT-M) or only different female voices (MT-F). Response times were longer and accuracy was lower in MT-M compared to MT-F. Thus, the talker variability effect was observed only when talkers were perceptible under CI simulation. Considered nowadays a milestone among some pianists’ repertoire, Franz Schubert’s Sonata in B flat Major is not only remarkably long and complex in structure, but also full of details that make this piece worthy of a deeper study. Nevertheless, the Sonata was only re-discovered by the Russian School of the 20th Century, establishing a very specific performance practice of it that was not concerned with historical approach. This paper aims to analyze different sources from Schubert’s time, as well as contemporary articles about the subject, in order to get as close as possible to the original ideas of the composer. Inleiding: In de praktijk valt het op dat pedagogisch medewerkers (pm-ers) niet altijd tijdig adviseren om een stottertherapeut/ logopedist te consulteren als de stotterverschijnselen/-problemen bij een peuter opvallen. Dit kan negatieve gevolgen hebben op de ontwikkeling van de stoornis. Methode: Er is een gemengd onderzoeksdesign uitgevoerd door middel van 54 ingevulde enquêtes en twee semigestructureerde interviews. Resultaten: De huidige beschikbare informatie over stotteren is bij een groot deel van de pedagogisch medewerkers onbekend. Conclusie: Een groot deel van de pedagogisch medewerkers bezit niet voldoende kennis om een verantwoord advies te kunnen geven aan ouders over de stotterproblemen/ -verschijnselen van hun kind(eren). In the hotel industry, which is highly international and therefore prone to language barriers, the interaction between an employee and a guest is very important as companies try to make them loyal to their brand and reap the benefits of guest retention. In this research, an experiment has been conducted to test the relationship between language proficiency (LP) and perceived service quality (PSQ). In a nutshell, a B2 level (Common European Framework of Reference, Council of Europe, 2001) emerged as the minimum requirement to perform above average and statistical analysis revealed that different indicators of PSQ are affected differently by a lack of LP. De term ‘Smart City’ wordt steeds vaker genoemd als oplossing voor klimaat- en verstedelijkingsproblemen. Veel lokale overheden weten echter niet wat zij concreet kunnen doen om hun eigen Smart City-initiatief te ontwikkelen. In het onderzoek ‘Van Bouwstenen naar Smart City’ is onderzocht wat voor lokale overheden de bouwstenen zijn voor een succesvol proces tot de ontwikkeling van Smart City-initiatieven. Met behulp van een viertal Smart City-initiatieven in Nederland en gesprekken met betrokken partijen is gekomen tot vijftien ‘bouwstenen’ die lokale overheden concreet kunnen helpen bij de ontwikkeling van hun eigen Smart City-initiatief. How to Connect Artisanal & Small-Scale Gold Miners in Uganda to the International Market for Ethically Produced ASM Gold? equipment to boost efficiency, productivity and profitability. Through improved productivity and efficiency, ASMOs will benefit most from ethical sourcing ambitions. Creative Media Advertising: Het begin van het einde van de groeiende plastic soep? met zowel probleembewustzijn als gedragsintentie. This research is dedicated to comparative environmental impact analyses of menstrual products – tampons with and without applicator, sanitary pads, and menstrual cups – used in modern “Western” societies and using six indicators of environmental impact. Additionally, a menstrual waste scenario analysis, with increasing menstrual cup use as variable, is performed. Due to environmental concern, especially for waste, the research question and the survey were formed. All indicators showed lowest impact with menstrual cups. Besides, if menstrual cup-use sextupled, a waste reduction of 84% was calculated. Consumers and researchers must identify and adjust environmental impacts of everyday products, like menstrual products. As various cities around the world are implementing car-free policy, the need to understand it from a dynamic point of view becomes more pronounced. This paper sheds more light on the reasons to go car-free as forces of change, while further analyzing the inhibitors and dynamics of transitions towards car-free cities. Reasons to drive can be conceptualized as intrinsic and extrinsic, each with its own relevance in the light of transitions. At the same time, the dynamic processes of enabling and implementation are conceptualized in order to move towards a more realistic view of the complexities of these transitions. doing a probit regression on a single balance sheet variable. military conflicts in the Middle East. When art makes one by Luca Bruls unfolds an ethnographic case study on narratives exposing the role of nationalism in the exhibition of the Museum of Islamic Art in Cairo, Egypt. Fieldwork among museum staff documents the way they make decisions regarding scenography and organize activities. The research lays bare the motivations of museum staff to use certain techniques and exhibit particular objects. The goal of the research is to find out about ‘how’ and ‘what’ narratives are constructed respectively indicated in the description and presentation of artefacts in the MIA. Engaging in CSR: The effect of perceived corporate greenwashing in the CSR fit-purchase intention relationship, depending on the sector’s social responsible reputation. Corporations have increasingly been engaging in corporate social responsibility (CSR). However, there are some inconsistent findings regarding the relationship between CSR fit and purchase intention. The aim of the current study is to examine what factors influence this relationship. Based on a literature review, CSR fit is proposed to negatively influence perceived corporate greenwashing (PCG) and this is moderated by a sector’s social responsible reputation (SSRR). PCG in turn influences purchase intentions negatively as well. It is concluded that corporations need to assess their SSRR and trust first, before deciding on which CSR activities they are going to engage in. Does pupil dilation indicate cognitive dissonance and strength of attitude change? Replicating the spreading of alternatives effect in a blind-choice task. The aim of the present research was twofold. First, we aimed to replicate a recent study by Sharot et al. (2010), which found evidence for the spreading of alternatives (SOA) effect. Second, we investigated the hypothesis that cognitive dissonance, which may explain an existing SOA effect, is accompanied by significant changes in pupil diameter. Our results provide neither support for this hypothesis nor do they replicate the SOA effect. We conclude that more research is needed to investigate the SOA effect and call for deploying more suitable experimental paradigms to investigate the link between cognitive dissonance states and pupillary changes. Tax avoidance, fraud, endangerment of public safety - whistleblowers are crucial for making organizational misconduct transparent. Unsurprisingly, whistleblowing is a commonly researched subject (e.g. Brown, 2008). Yet, only few studies systematically focus on the recipients of whistleblowers’ reports. This lack of attention is striking in light of the decisive role which complaint recipients play in the whistleblowing process (e.g. Lewis, Brown, & Moberly, 2014; Read & Rama, 2003). Drawing on existing literature, this study develops and applies a comparative framework which allows for a comprehensive analysis of whistleblowing recipients. Findings confirm the framework’s utility for answering questions concerning recipients’ involvement and responses. Hence, this study paves the way for the application of a novel analytical focus within whistleblowing research1. The fipronil-crisis that occurred in the Netherlands in 2017, had a big impact on the poultry sector. Farmers had to make the decision to either detoxicate (a diet which attempts to eliminate the fipronil which is stored in the fat) or prematurely cull their hens. This research compares detoxification and prematurely culling in a financial way, to provide an answer for the question: Which approach would have restrained, with hindsight, the financial impact for the famers the most? In order to do this a decision tree has been built and a sensitivity, break-even and risk analysis have been conducted. In deze studie werd onderzocht of zelf-objectificatie (het internaliseren van seksuele objectificatie) en veiligheidsangst (in publieke en interpersoonlijke privésituaties) samenhangen en of lichaamsschaamte daarin een mediërende rol speelt. Dit is belangrijk aangezien zelf-objectificatie (en zelfobservatie) kans op schaamte en angst verhoogt. Bij 56 vrouwelijke studenten zijn vragenlijsten afgenomen. Uit de eerste analyse bleek een positief verband tussen zelfobservatie en veiligheidsangst (in publieke situaties) en een volledige mediatie van lichaamsschaamte. Uit de tweede analyse bleek geen verband tussen zelfobservatie en veiligheidsangst in privésituaties, wel mediatie van lichaamsschaamte daartussen. Zelfobservatie en veiligheidsangst hangen dus samen in publieke situaties, niet in interpersoonlijke privésituaties. Dit cross-sectionele onderzoek beschrijft de mate van kennis en gedrag van vrouwelijke studenten ten aanzien van risicofactoren voor borstkanker. Aan dit onderzoek deden 158 van de 532 studenten van de academies voor Zorg & Welzijn en Educatie & Pedagogiek van de HZ mee. Bij de meerderheid van de respondenten is er een gebrek aan kennis over de borstkankerrisicofactoren. Professionals kunnen door voorlichting te geven kennis vergroten en aanzetten tot gezonder gedrag. Dit kan bijdragen aan leefstijlaanpassing en resulteren in risicoreducerend gedrag. Het advies is om het risicobewustzijn te vergroten op en door de hogeschool. De toepassing van de Nederlandse Triage Standaard (NTS) bij patiënten met pijn op de borst staat ter discussie. Triagisten op de huisartsenpost (HAP) kunnen initiële triagecodes op- of afschalen. Uit deze studie blijkt dat 33,1% van de initiële U1’s (levensbedreigend zieke patiënten) zijn afgeschaald. Overtriage lijkt hierdoor te existeren. Beïnvloedende factoren voor aanpassing van initiële triagecodes zijn te categoriseren in triagist specifieke, NTS specifieke, patiënt specifieke en organisatorische factoren. Ervaring en onderbuikgevoel werden frequent aangedragen als reden tot aanpassing. Daarnaast bleek de NTS onvoldoende toepasbaar bij een atypische klachtenpresentatie. Gestandaardiseerde werkafspraken omtrent aanpassing van triagecodes zijn aan te bevelen. Het Buddy-project is een initiatief om eetstoornis- patiënten te ondersteunen, waarbij de patiënt één op één wordt gekoppeld aan een herstelde ervaringsdeskundige. In dit onderzoek is middels interviews, vragenlijsten en een focusgroep het perspectief van ervaringsdeskundigen en eetstoornispatiënten ten aanzien van het Buddy-project in kaart gebracht. Uit dit onderzoek blijkt dat patiënten een Buddy zien als een begripvolle, gelijkwaardige en laagdrempelige gesprekspartner, die zou kunnen ondersteunen bij het oefenen van lastige situaties, zoals samen eten, koken of boodschappen doen. Ervaringsdeskundigen zien het Buddy-project als een waardevolle aanvulling op de al bestaande zorg binnen de zorgketen eetstoornissen, maar benadrukken ook het belang van goede ondersteuning voor de Buddy’s zelf. To prevent a further increase in the high prevalence of student burnout, this longitudinal study investigated the influence of sleep quality on burnout. The impact of engaging in university on the development of burnout was assessed in first-year psychology students (N=75) by measuring symptoms before and after their first study period. The hypothesis that a poor sleep quality is associated with higher emotional exhaustion and cynicism and lower professional efficacy was confirmed. Although the change in burnout over time was not predicted by sleep quality, the exposure to academic stressors lead to the development of emotional exhaustion in students. We live in an obesogenic environment, spending a lot of time sitting neglecting physical activity. This study aims to determine the impact of a sedentary lifestyle on insulin sensitivity by comparing insulin sensitivity of healthy athletes and sedentary subjects. Twelve athletes and 12 sedentary subjects underwent a two-step hyperinsulinemic euglycemic clamp test to assess insulin sensitivity and a DEXA scan to assess body fat mass. Insulin sensitivity was significantly lower in sedentary subjects (p=0.009) and fat mass negatively correlated with insulin sensitivity (r=-0.57, p=0.005). This study shows that healthy sedentary subjects have an impaired insulin metabolism compared to trained athletes. ADHD is one of the most prevalent neurodevelopmental disorder. Antioxidant concentrations are shifted in ADHD patients and antioxidant centred therapies appear to alleviate symptoms significantly1-8. This study aims to investigate antioxidant concentrations in children with ADHD of an Antwerp based population. For the ADHD-cohort, concentrations of lipid-soluble antioxidants (a-tocopherol, g-tocopherol, retinylpalmitate, b-carotene, CoQ10 and retinol) (plasma, n = 12) and glutathione (erythrocytes, n = 4) were measured and consecutively compared to a cohort of non-ADHD children (n = 25-53). Additionally, differences in mean concentrations were compared to literature1,7,8. Het effect van gebitsrehabilitatie op spraak is gemeten voor, direct na en minimaal een maand na de gebitsrehabilitatie aan de hand van een luisterexperiment en een vragenlijst. Veertig getrainde luisteraars en 40 niet getrainde luisteraars gaven een beoordeling over de spraak en de /s/ en /t/ klanken. Patiënten beoordeelden hun spraak aan de hand van een vragenlijst. Getrainde luisteraars en patiënten beoordeelden de spraak op alle tijdsmomenten gelijk. Niet getrainde luisteraars beoordeelden de spraak minimaal een maand na gebitsrehabilitatie beter dan voor en direct na de gebitsrehabilitatie. De /t/ klanken beoordeelden zij voor de gebitsrehabilitatie beter dan direct na gebitsrehabilitatie. Multimodal neural representations require a system in which both different aspects of the physical stimuli are represented, and also a multimodal abstraction is. In this study, we compared the representational systems of numbers and letters by using an fMRI experiment. Our findings can be summarized in two points: (1) The left intraparietal sulcus is involved in representing multimodal numbers and letters. (2) There are shared visual and auditory areas in the representations of numbers and letters. The similarities in these systems might help explain the comorbidity between dyslexia and dyscalculia. While decades of neuroscientific research has detailed the brain networks underlying memory, to date the neurobiology underlying interindividual memory differences in a healthy population is not known. Here we use the behavioral and resting state fMRI data from the Human Connectome Project (HCP), and predict subjects’ scores on tests of working and episodic memory based on their whole brain functional connectivity significantly above chance. We observed that brain connectivity between regions determining differences between healthy subjects were different from those traditionally associated with memory. Results may ultimately be relevant to determine risk factors for the development of neurodegenerative disorders. Cancer cells often inhibit the expression of FAS to evade T-cell mediated apoptosis upon HLA-mediated recognition. In this study, we aim to find the prognostic value of FAS expression, next to HLA expression, in colorectal cancer (CRC) patients. Colorectal tissue was immunohistochemically stained for the FAS and HLA receptors. Results show that there are significantly more patients with no FAS and HLA expressions in higher stages corresponding with tumor node metastasis (TNM) than in lower stages. Next to TNM stage, the loss of expression of FAS or of both FAS and HLA turns out to have no additional prognostic value. paves the way for further C. elegans based research using Taxol compounds against RUNX. Wegens de nieuwe technologieën en innovaties in de bouwsector is het verzamelen, waarborgen en ontwikkelen van kennis essentieel. Het waarborgen en delen van kennis kunnen leiden tot innovatieve oplossingen en houden een organisatie kennisrijk, ondanks uitstroom van mensen met kennis. Volgens het kernteam van de afdeling Natte Kunstwerken bij Rijkswaterstaat kan de mate waarin er kennis geborgd en gedeeld wordt beter en efficiënter. Het doel van deze studie is om de knelpunten van kennisdeling betreffende Natte Kunstwerken te constateren en aanbevelingen te ontwikkelen ter verbetering, zodat geld en tijd bespaard kunnen worden en bruikbare kennis binnen de organisatie behouden blijft. The resistors on the circuit board of a mobile phone can be used for accident dosimetry, because they exhibit optically stimulated luminescence due to radiation. The reconstructed dose from the resistors needs to be converted to organ absorbed doses. For this, Monte Carlo simulations are made. The resulting theoretical conversion coefficients are experimentally validated within this research. The main conclusion of this research is that the theoretical conversion coefficients do not significantly differ from the experimental conversion coefficients. However, during the dose reconstruction, various factors, such as fading and photon energy dependence can influence the reconstructed dose and introduce inaccuracies. Plagiarism in computer science education programs is a significant problem, requiring resilient, reliable, automated tools for efficient detection. Plagiarism detection tools based on Program Dependency Graphs (PDG) fulfill these requirements, but do not directly support all programming languages. For example, for Python, an increasingly popular programming languages in computer science education, traditional PDG-based methods do not work, as they create too many incorrect edges. In this work we propose the PyDG framework, the first solution for PDG-based plagiarism detection for Python programs. PyDG’s approach is based on creating a slightly restricted Python language. Our empirical analysis demonstrates that PyDG successfully improves plagiarism detection by omplementing existing tools. Replenishment processes, promotions and assortment choices in retail are determined by forecasting sales. Sales are affected by external factors such as seasonality, weather or promotions. This relationship can differ per store or product. Currently, researchers focus on developing a SARIMAX model for one product and store specifically to predict sales, and the novelty of this research is that it develops an algorithm that automates SARIMAX modeling to allow for model generation tailored to a store and product. The algorithm was tested with a case study at Kruidvat. It was found that the algorithm works good enough to potentially save Kruidvat more than 5 million Euros annually. “De Stenen Man”: strong guardian or weak link? De ‘Stenen Man’, standing on top of the Westerzeedijk near Harlingen, was built to commemorate the construction of the sea defenses. However, there is reason to believe this monument to flood safety endangers the stability of the dike. In our study, we quantify the effect of the statue on the failure probability of the dike. This is achieved through a combination of archive research, ground survey, and probabilistic assessment within the new legal framework. Results show that the monument increases the probability of failure by inward macro-instability tenfold. Therefore, further study into opportunities for reinforcement is recommended. The emergence of single molecule localization microscopy (SMLM) techniques made the imaging of cells at resolutions far beyond the diffraction barrier possible. However, the usual approach of tagging a protein of interest (PoI) with a primary antibody, and tagging this one with a fluorophore-carrying secondary antibody, introduces a significant displacement of the signal from the PoI. Here, the generation and application of an αGFP-nanobody is described which, through its reduced size and direct fluorophore labeling, leads to a much higher co-localization of signal and PoI and qualifies for dSTORM imaging of nuclear proteins. A new experimental setup for studying charge transfer in Quantum Dot (QD) films has been designed, built and tested. The setup combines three spectroscopic methods; Raman, Fluorescence and Absorption Spectroscopy. First data on a Cadmium Selenide (CdSe) films reveals that radiative emission quenches while charging, attributed to Auger-decay. When fully discharged, the emission remains partly quenched, indicating that not all electrons are removed. Since charge transfer is a fundamental process in solar cells, the setup could be essential for designing and optimizing cost efficient future QD based solar cells. Optical components of a gravitational wave (GW) detector must both actively and passively be isolated from microseisms to be able to detect GWs. Active attenuation is achieved by making use of accelerometers within seismic isolation systems. Herein, a characterisation of the internal leg mode resonances of an improved design Folded Pendulum accelerometer, present at the Virgo GW observatory, is being discussed. We model internal leg mode resonances of the accelerometer using Finite Element Method analysis and we experimentally confirm the horizontal in-plane and tilt resonances below 1 kHz, by use of a shadow sensing application combined with Bode plots. Vezelversterkte composieten combineren een laag gewicht met zeer goede mechanische eigenschappen en kennen zo vele toepassingen in sectoren waarbij gewichtsbesparing cruciaal is, zoals de luchtvaart-, de ruimtevaart-, de windturbine- of de automobielsector. Typisch komen deze composieten als een gelaagd materiaal: de vezelversterking wordt ingebracht door het stapelen van verschillende lagen, waarna ze geïnfuseerd worden met een kunststofmatrix. Ondanks de vele voordelen hebben deze composietlaminaten een groot nadeel omdat de verschillende lagen kunnen loskomen van elkaar, i.e. delaminaties. Dit maakt composieten vooral kwetsbaar voor impact, bv. door steenslag, hagelimpact of contact met werktuigen tijdens onderhoud. In deze studie wordt onderzocht of de impactweerstand van composieten kan verbeterd worden door het inbrengen van taaie nanovezels tussen de vezelversterkingslagen. Er worden 3 verschillende koolstofcomposieten gemaakt; een orthotroop laminaat, een quasi-isotroop laminaat en een laminaat gemaakt uit geweven koolstofvezels. Van elke soort worden steeds samples met en zonder nanovezels bereid. Vervolgens worden de mechanische eigenschappen van een dergelijk composiet met of zonder tussenliggende laag nanovezels bepaald en vergeleken. Hiervoor wordt het composiet onderworpen aan een impacttest, C-scan en een buig- en afschuiftest. Uit deze mechanische beproevingen blijkt dat de mechanische eigenschappen van het composiet niet afnemen bij inbreng van nanovezels in tegenstelling tot andere technieken. Het orthotrope laminaat blijkt het beste resultaat te geven op het gebied van de verbetering van de impactweerstand. Autism impacts around 5 million people in the EU (Autism-Europe). Research has shown that social robots, due to their deterministic nature, simplified appearance and technological capabilities, can enable therapy or become assistive technology for empowering autistic individuals with household activities. Consequently, toolkits have emerged for prototyping social robots. Regarding such toolkits, there is a methodological, inclusion gap: there is no comprehensive co-design process to include cognitively disadvantaged users in decision-making regarding robots’ fundamental design choices. To overcome this gap and empower autistic adults to truly design their own (non-preprogrammed) robots, this research explores a social robot toolkit’s well-scaffolded participatory design. Om een ziekte te bestrijden via orale medicatie, moet het actieve farmaceutische bestandsdeel (API) van het gebruikte medicijn oplosbaar zijn in de waterige omgeving van het menselijk lichaam. Bepaalde, dikwijls veelbelovende, API’s zijn echter slecht oplosbaar, wat vaak te wijten is aan de kristalliniteit van het API. In dit project werd de solvent elektrospintechniek aangewend om het kristallijne API in amorfe toestand te brengen als solid dispersion (SD). Uit verschillende analyses bleek dat de wateroplosbaarheid van het medicijn hierdoor drastisch verbetert. Het elektrospinproces is daardoor een potentieel veelbelovende techniek voor de verwerking van doeltreffende API’s in de farmaceutische industrie. This paper details the design and real-time implementation of a planar state estimator for soccer robots. A camera system, encoders, gyroscope and accelerometer are combined in a two-stage Kalman filter through a constant acceleration model. Inflating Noise Variance is employed to handle slip and ensure convergence in stationary periods. The approach oers substantial improvement w.r.t. the old pose estimator. Dynamic attending theory (Jones, 1976; Large & Jones, 1999) suggests that isochronously repeating salient points in time are predictable and facilitate processing by synchronizing attentional oscillations in the brain. By manipulating amount and spacing of such salience, this design attempts to enhance accuracy of reproduced melodies. Salience was introduced by dissonant harmonies. All subjects seemed to get distracted by the harsh sound of dissonance. However, non-musicians seemed to benefit from a regular ¾ meter. More research with larger non-musician samples is needed to investigate how dissonance raises cognitive load but may also function as attentional refresher when predictable. This paper proposes a new semi-analytical solution of the Schr¨odinger equation with Gaussian well. The approach is based on the harmonic oscillator and yields both the energy and the wave function for any specific eigenstate. Furthermore, the semi-analytical solution is compared to methods found in the literature and the Split-Operator method and deemed accurate. will be energized using Radio Frequency (RF) energy harvesting. RF Collector wirelessly capture the RF energy that is wasted in space, and re-use it again as the power source for IoT devices and hence making them autonomous of battery. The ability to harvest RF energy enables wireless charging of low-power devices in real time. This has resulting benefits to sustainability, cost reduction, product design, usability, and reliability.